We’ve so enjoyed sharing 31 Days of Busy Bags & Quiet Time Activities with you! We hope that the ideas we’ve shared will be a blessing to your family as you strive to teach your children and manage your home well. Make sure you subscribe to our blog to get free email updates because we have many more busy bags and quiet time activities to share in the future! 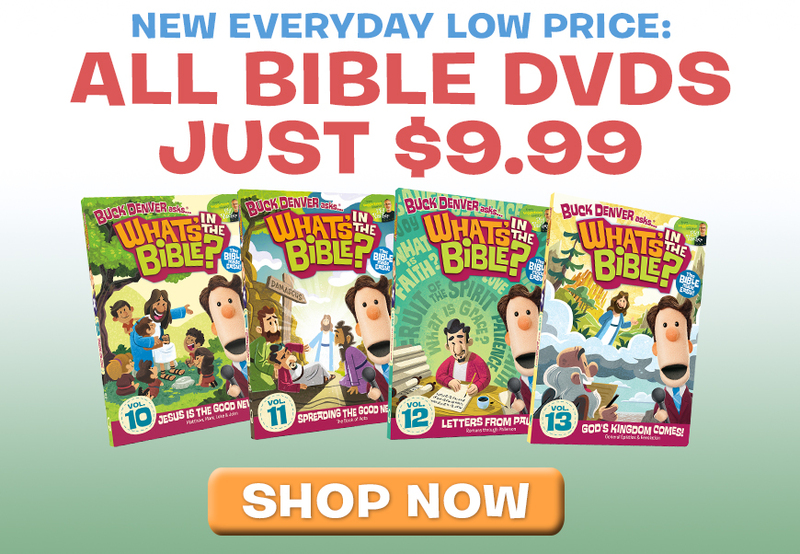 In case you missed any of this series you can scroll through the 31 Days of Busy Bags & Quiet Time Activities Archives or you can visit the series’ main page. 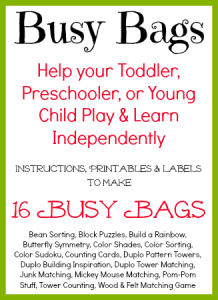 Remember, you can also purchase all of the busy bag printables we shared this month in one easy download for only $3. Now, it’s your turn to share! We can’t wait to see the busy bags and quiet time activities that your children enjoy! 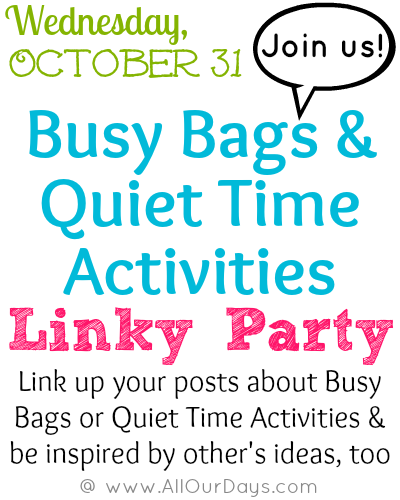 We’ll be featuring the favorite links on our Busy Bag & Quiet Activity Pinterest board. Thank you so much for putting all these great ideas for busy bags on your website. I have been really struggling to occupy my very active 2.5 year old while I homeschool my 8 year old. These are a life saver and I am really looking forward to using them with my toddler. Thank you so much. What a great idea for a series! Thanks for organizing it!